Yokoso Japanese Gardens offers solid knowledge and the experience of dedicated specialists in the field of bonsai trees, construction and maintenance of Koi ponds, designing Japanese gardens, design and installment of Japanese style pavilions. In short, we cover the whole package. 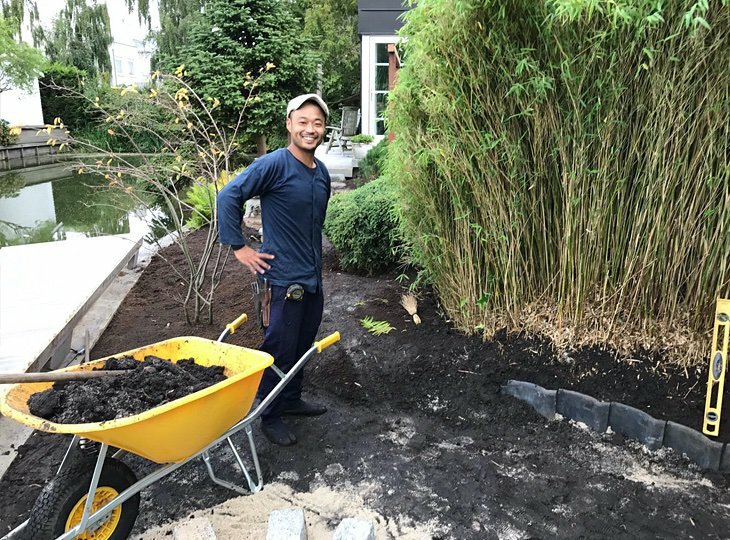 Our specialists have exclusive access to a network of Japanese suppiers and advisors and thus are able to offer the very best resources concerning advise during the whole process from design, construction and maintenance of the Japanese garden. Yokoso Japanese Gardens can offer the customer a thorough network of skilled and dedicated professionals. However, the garden will always be an extension of our client. The customers personality will always play a major part in directing the path from design, construction and maintenance of the garden. In most cases we invite our customers to visit our quarry so they can take part in selecting the appropriate rocks and stones that will be used in the garden. Also, selection of bonsai trees, shrubs, Japanese stone lanterns and ornaments will be executed in close consultation with our client. Just like in the old days the owner of the Japanese garden, the Daimyo, is the central figure. The Japanese garden should match his personality. 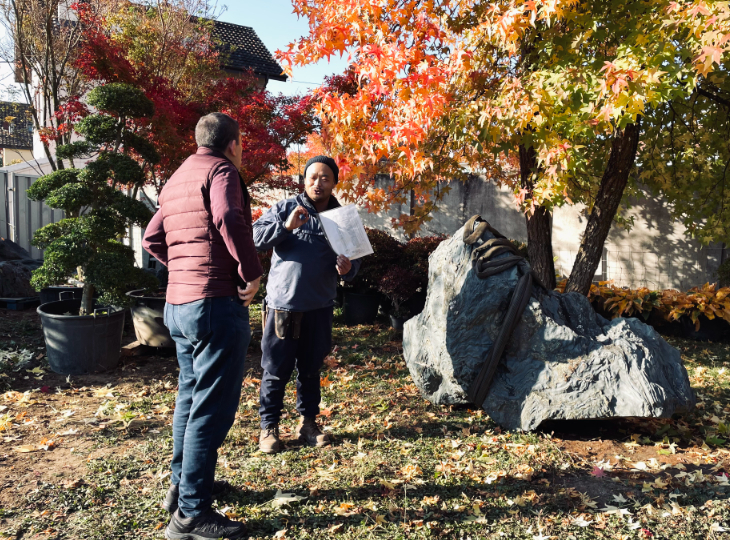 Therefore it is of the greatest importance we interview our client to be able to determine how the design of the Japanese garden should "feel", where to put accents and where the most important features should be implemented. 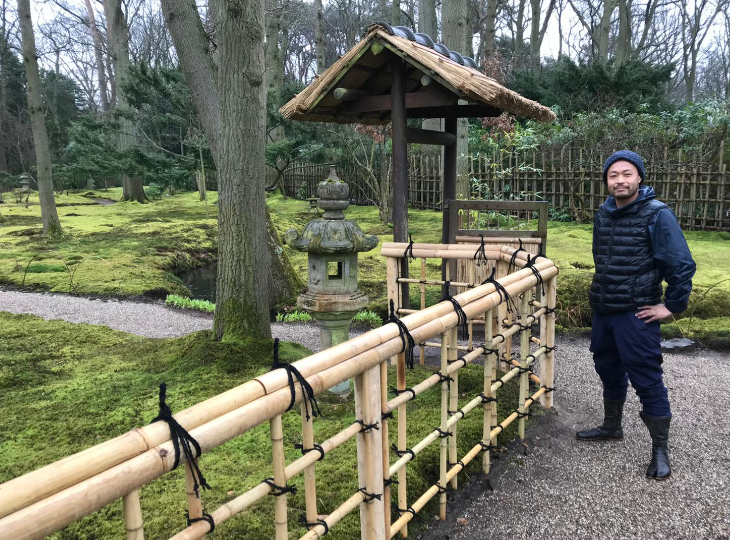 When the Japanese garden is ready and the work is done Yokoso Japanese Gardens stays in close contact to monitor the project and to supply advice and maintenence whenever and where needed. A Japanese Garden will never really be finished. The garden will grow "mature" over time and requires constant expert attention and maintenance. To keep a Japanese garden in top condition expert "know-how" is the key. Yokoso Japanese Gardens will be ready to supply advice, maintenance and accompaniment for your Japanese garden. 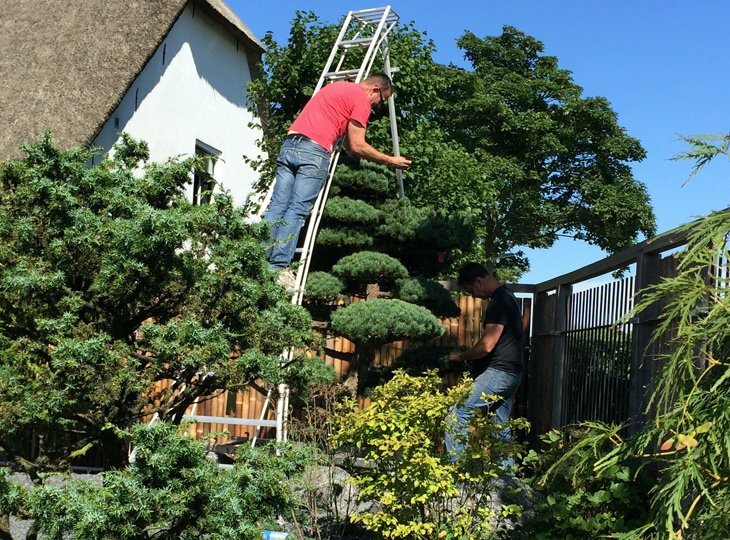 Often we offer our client a maintenance-contract to ensure the Japanese garden will always be in top condition.